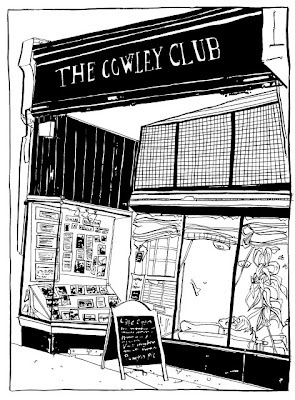 "The Cowley Club is a social centre on London Road in Brighton. It houses a cafe and bookshop during the day, a members bar during the evenings. It also has a library and is a base for a variety of other projects. 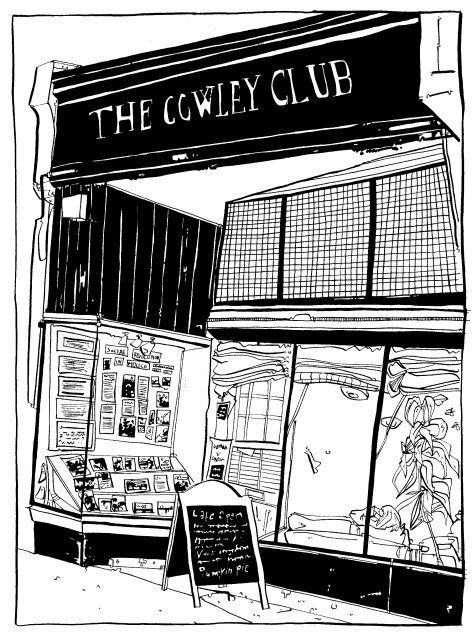 The club is collectively owned and run as a base for those involved in grassroots social change and those sympathetic to such activities, giving us control over our social space and resources. It is run entirely by volunteers - no one gets paid, and no one is making any profit. Instead, we are trying to provide a much needed alternative to everything else around us."